I painted this on hardwood as a gift to my son Chris and His wife Raven. 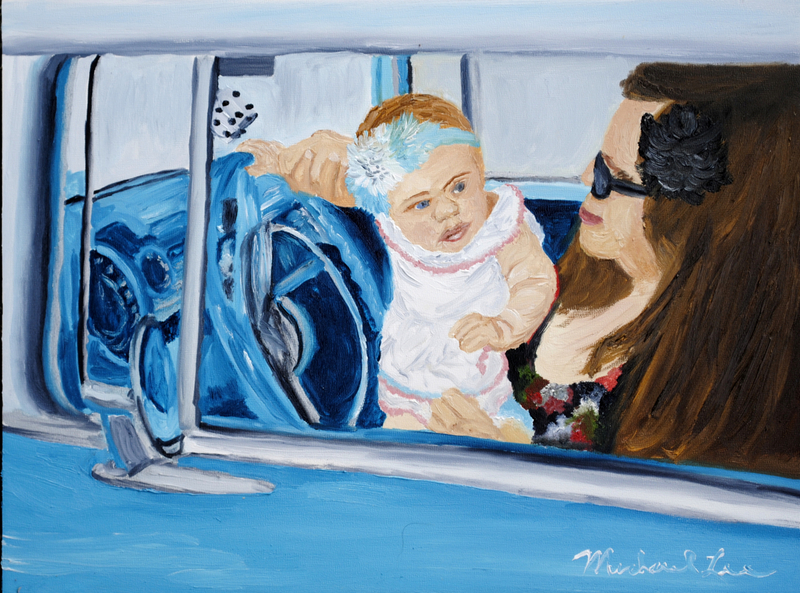 This is our granddaughter Alani with her mom in a classic 57 chevy. Chris and Raven are car buffs and this is a gift to them.